However this year, like every other year, the Oscars have provided us fashion goals for life. Though an exquisite gown is the first thing that catches the attention of paparazzi, it isn’t the last thing. The Oscars are a chance for the celebrities to truly showcase their best looks with sheer opulence for the world to admire. Here are some Oscars accessories trends that I think were definitely standouts this year. While Tiffany & Co stole the show with their art-deco inspired aquamarine and diamond necklace with a matching ring worn by Wonder Woman- Gal Gadot, director and actress Greta Gerwig was not far behind with her antique blue moonstone necklace with matching platinum earrings designed by Louis Comfort Tiffany. For someone who hasn’t attended the Oscars since 2015, Zendaya sure knew how to capture the spotlight with her Grecian goddess inspired dress, ‘Griffe’ platinum ring and vintage Art Déco pendant earrings. Stiletto diamond earrings are the definition of brilliance. They create a signature style of their own; luxuriously modern yet simple. 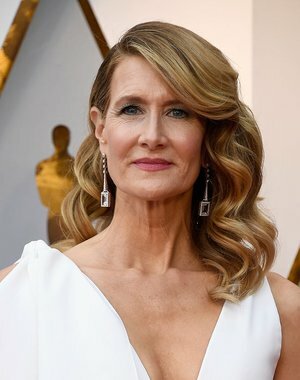 Laura Dern’s ensemble complete with emerald cut drops that came from Atelier Swarovski Fine Jewelry. Emily Blunt looked every bit the diva in her aqua gown and matching aquamarine accessories by Chopard. Maya Rudolph looked stunning in her bold red gown wearing aqua blue stiletto drops by Irene Neuwirth. 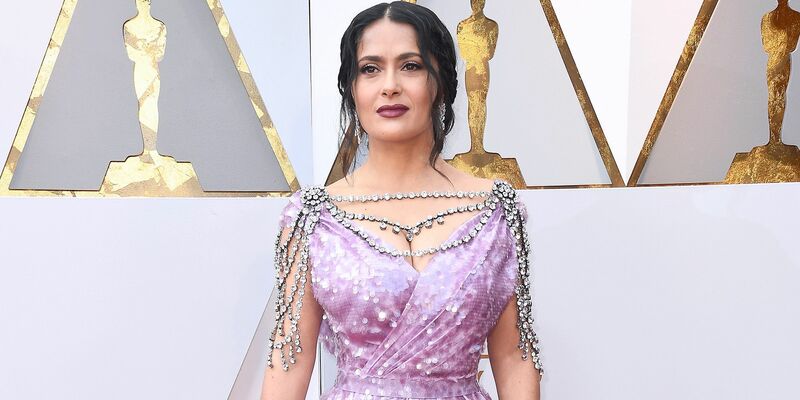 Those who think that diamonds are a woman’s best friend haven’t seen Salma Hayek Pinault dazzle like a million bucks with over $4 million worth of jewellery by Harry Winston to complement her purple dress. Not far behind was Meryl Streep who was seen wearing Fred Leighton a diamond and gold bangle bracelet, and matching diamond earrings. On the other hand, there was the ever-gorgeous Sandra Bullock in her custom-made gold and black sequined dress with Lorraine Schwartz champagne diamond earrings and Ofira Jewels black diamond tattoo bands. The Oscars were surprisingly more colourful this time around with jewellery trends that complemented one another aesthetically, without them being matching pieces. Jennifer Garner wore her Atelier Versace gown pairing it with diamonds and blue sapphires by Piaget. Helen Mirren wore a floor-length blue dress accessorised with Harry Winston sapphires and diamonds. Emma Stone ditched the gown this year and returned to the Oscars in a silk Louis Vuitton blazer with a bright pink sash around it. She completed the look with earrings featuring Mandarin garnets.